Georg Sahm GmbH & Co. KG with its head office in Eschwege, Germany is a leading producer for Take-up Precision Cross Winders, Rewinders and Parallel Winders for a various field of applications. SAHM has sold more than 250000 winders worldwide. SAHM is represented in all-important markets and with own offices in Greenville, SC and Guangzhou, China. Together with Starlinger & Co Austria, SAHM belongs to Starlinger Group in Vienna. 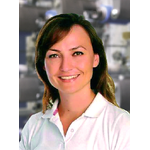 SAHM brings Competence in winding by providing Competitiveness to all SAHM machinery users around the Globe. With its environment friendly Waste Saving concept, achieved with the auto-doffing winding machinery products family, SAHM enables to shorten the return of investment (ROI) which is also insuring longer term Viability of our users’ investment. In conjunction with the perpetual high quality German machine, thanks to its electronically programmable winding feature, SAHM brings Feasibility which is highly needed in the rapidly changing world market requirements. 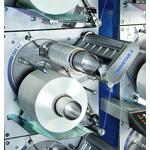 As member of Starlinger Group, SAHM offers winding machinery for various kinds of Technical Fibers, always ready to seek a Customized solution for each of its users’ particular demands, generating the competitive power they need.